Known around the globe for his beautiful, innovative, and sustainable structures, the West African architect Francis Kéré will create Tippet Rise’s newest structure: a 1,900 square-foot pavilion, scheduled to open at the start of the summer 2019 music season. Kéré’s pavilion will serve as a communal gathering space nestled in a grove of aspen and cottonwood trees between the Olivier Music Barn and Daydreams, the willow-clad schoolhouse created by sculptor Patrick Dougherty. An evolution of Kéré’s celebrated 2015 canopy structure for the Louisiana Museum of Modern Art near Copenhagen and his 2017 Serpentine Pavilion in London, the pavilion will be built with logs from local ponderosa and lodgepole pine. Imagine a round structure with seating areas beneath a log canopy that filters and dapples the sunlight. Visitors can gather within, or climb onto a platform sculpted at the canopy’s top to take in the landscape through aspen and cottonwood leaves. For children, there will be a carved “color cave” tunnel. The shape of the seating area—an irregular loop—is inspired in part by a series of paintings, created by artist and Tippet Rise cofounder Cathy Halstead, based on the lyrical, abstract forms of microscopic life. Laura Viklund of Gunnstock Timber Frames, responsible for the Olivier Music Barn and Will’s Shed at Tippet Rise, will collaborate with Kéré and his team as the local project architect. 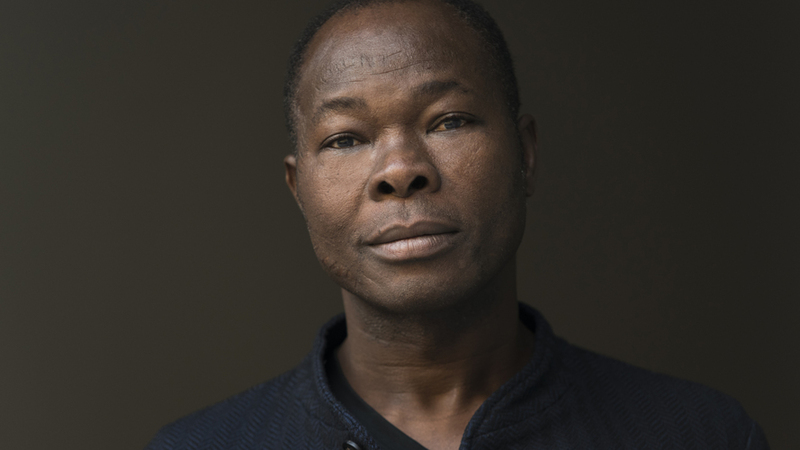 Born in the village of Gando, Burkina Faso, Kéré studied at the Technical University of Berlin. As a student, he established the Kéré Foundation to help improve the lives of people in West Africa by building community infrastructures, such as schools, libraries, housing for teachers, and women’s centers. Every Foundation structure combines the region’s traditional building methods and materials with modern engineering techniques. Based in Berlin, the award-winning architect has held professorships at various universities, including the Harvard School of Design. In keeping with the educational mission of Tippet Rise, the Tippet Rise Fund of the Sidney E. Frank Foundation is supporting the construction of a new Kéré-designed school in Burkina Faso. The Naaba Belem Goumma Secondary School is set to be completed in 2019. As with all of the Kéré Foundation’s structures in the region, it will be a weaving-together of local tradition and innovation. We, too, are grateful for these exciting new developments and will update you with words and photos as the Kéré pavilion grows! For more information about the Kéré Foundation’s incredible work, click on the link below. Portrait of Diébédo Francis Kéré. Photo by Erik-jan Ouwerkerk. Image courtesy of Kéré Architecture.